Dremel is one of my husband's favorite tool brands so I definitely wanted to let you know about the Dremel brand’s newest gadgets this year! Below are this year’s top picks from the tool experts at Dremel, including the newest and best tools, accessories and attachments that will make memorable and long-lasting gifts for everyone on your list. · Dremel 8220 12V Rotary Tool ($99-$139) – Take on nearly any project with this new rotary tool. From hobbies like jewelry-making or glass-engraving, to tackling household repairs, the Dremel 8220 cordless rotary tool provides versatility and precision for projects large and small. · Dremel Trio™ ($99) – Thanks to the resurgence of the Shabby Chic design trend, refinishing and distressing furniture pieces has become a popular hobby. For those on your list who have a knack for breathing new life into furniture and décor, the Dremel Trio will allow them to tackle multiple materials and planes without switching tools. 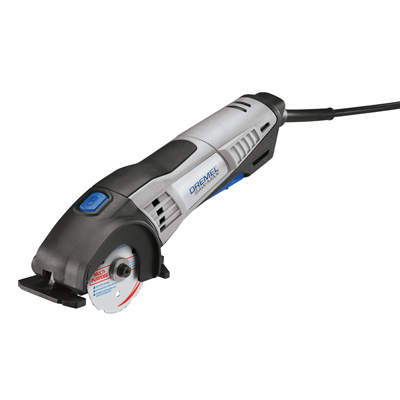 · Dremel Multi-Max™ MM20 ($99) – Repair. Remodel. Restore. The Dremel Multi-Max MM20 offers do-it-yourselfers and pros a versatile and effective multitasking tool. The Multi-Max can cut into a variety of materials including stone, sheet metal and cement with precision, power and ease, so users can tackle an array of applications quickly and comfortably. 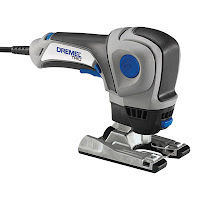 · Dremel Saw-Max™ ($129) – Making cuts with a saw can be a daunting task, but at one-third the size and weight of a traditional circular saw, the Dremel Saw-Max allows users to make smooth cuts on a variety of materials with easy, one-handed operation. Finish out your list with the perfect stocking stuffer from Dremel. There are a wide array of accessories and attachments for Dremel tools, at every price level. · Dremel EZ Twist Nose Cap ($6.99) – A must-have for anyone with a Dremel rotary tool, the EZ Twist Nose Cap makes changing accessories on a Dremel rotary tool faster and easier. · Dremel Multi-Max Drywall Jab Saw Accessory ($9.99) – Designed to be the fastest-cutting drywall blade available, the Drywall Jab Saw is the only oscillating blade that makes both straight and curved cuts in drywall, ideal for cutting out electrical boxes and recessed lighting. · Dremel Multi-Max Multi-Knife Accessory ($14.99) – Quickly and easily cut carpet, vinyl, boxes, shingles, foam, insulation and plastic with the Dremel Multi-Knife. Two cutting edges allow users to cut in either direction; the inside-facing edge is designed for cuts requiring a pulling motion and the outside-facing edge is designed for cuts requiring a pushing motion. 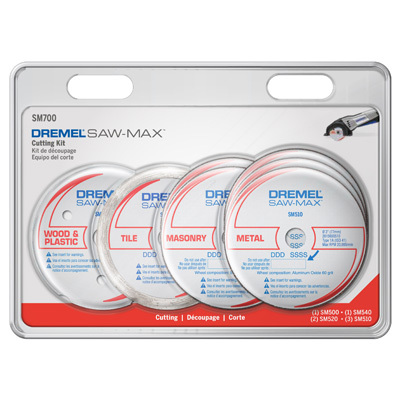 · Dremel Saw-Max Cutting Kit ($39.99) – Includes seven Saw-Max wheels, including diamond and carbide wheels, to cut tile, drywall, wood, plastic, metal, cement, brick and more.